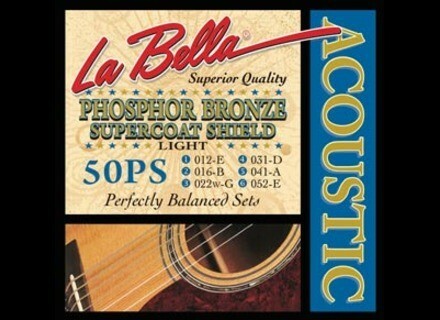 SuperCoat Shield, Guitar String from La Bella. La Bella have added a thin coating to the bronze and tin alloy winding. 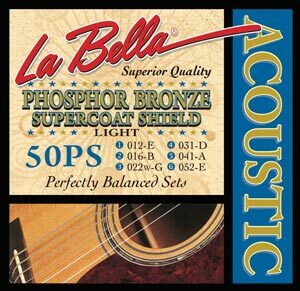 The SuperCoat Shield's extra layer of protection is designed to provide a barrier against the unwanted effects of string corrosion. For more details, check out www.labella.com. [NAMM] Boss TU-1000 Stage Tuner BOSS announces the TU-10 Clip-On Chromatic Tuner for guitars and basses. [NAMM] Electroplex Rocket MkII Series Electroplex Amplifers unveils the Rocket Mk II Series of all-tube amplifiers.